Freshen up your interior spaces – or a piece of furniture – with Sherwin Williams paint. 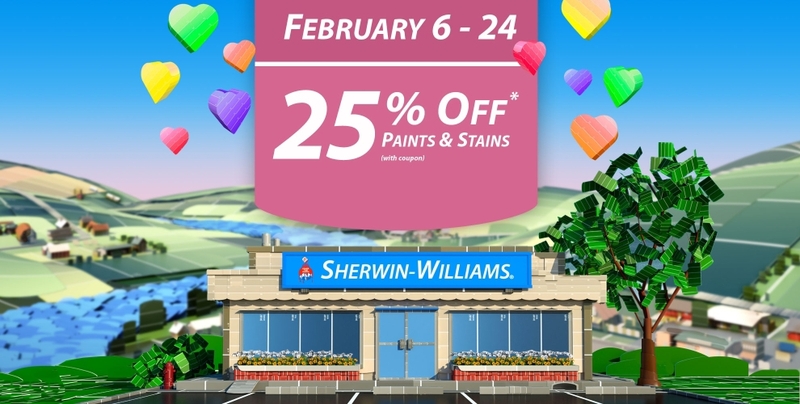 From now through February 24, take 25% off Sherwin Williams paints and stains and 15% off painting supplies with their coupon. Click here to print your coupon. What will you be painting? Be sure to share with us what color you chose!